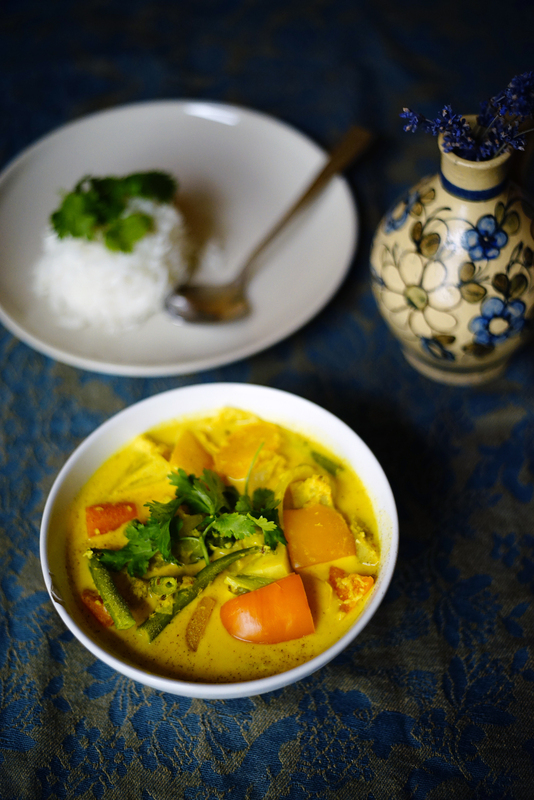 We are back at our home kitchen and this Yellow Curry will be the first recipe that we actually did not cook on the road 🙂 Now that we rent an apartment, we can cook all the recipes that we have learned during our travels. 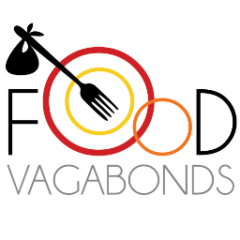 There is more recipes from the road to come. For now we will be in Germany for a little while. 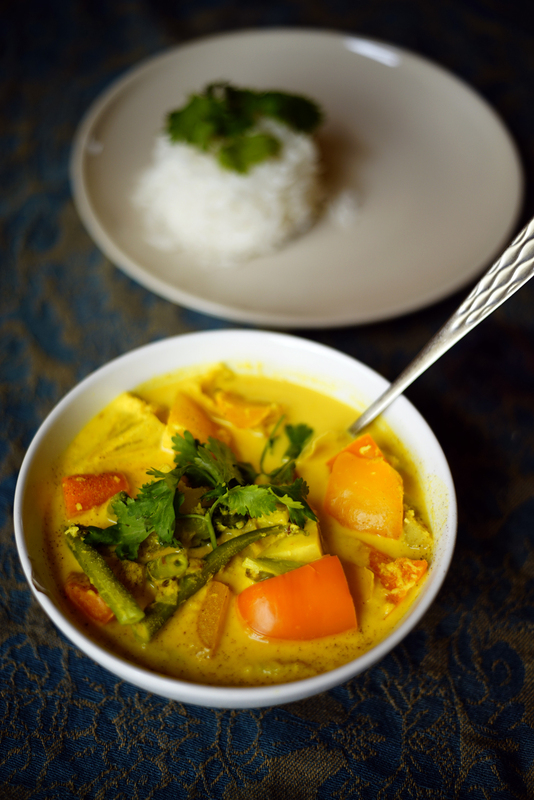 This afternoon Michael cooked this amazing Sweet and Creamy Yellow Curry with fresh veggies and rice. It is super easy to make and tastes very very good! Give it a try, you won’t regret it! First, grind all ingredients for the Curry-paste in a blender. When the paste is ready heat your wok and add 2 tablespoons of coconut cream. You will find the cream at the bottom of your can. Heat the coconut cream until it will start to bubble and cook. Now it is time to add the curry paste, all of it. Stir well and cook until the paste becomes more dry. When this happens it is time to add your hard veggies, like Carrots, sweetpotato. Let the veggies absorb the beautiful paste for 3 minutes. Now add the coconut milk plus the fresh milk and give all a good stir. Boil gently for 10 minutes. After 10 minutes add your beans, onions and bellpeppers. Continue cooking for 5-7 minutes. The liquid should reduce a bit and it becomes more creamy. Have a first taste! Not enough salt i guess? Add as much as you need to balance out with the sugar. Optional you could also add pineapple pieces to make it even more exotic. People who like it spicy should add a red chili to the paste. We hope you try this dish out. Can’t wait to hear from you! Please give us Feedback how you liked it. Your curry sounds very flavorful and I’m sure it was as good as it looks. Hey Karen! Thanks so much for your comment! 🙂 Give it a try! A beautiful curry! This is the kind of dish I could eat every week, simple and full of flavor.